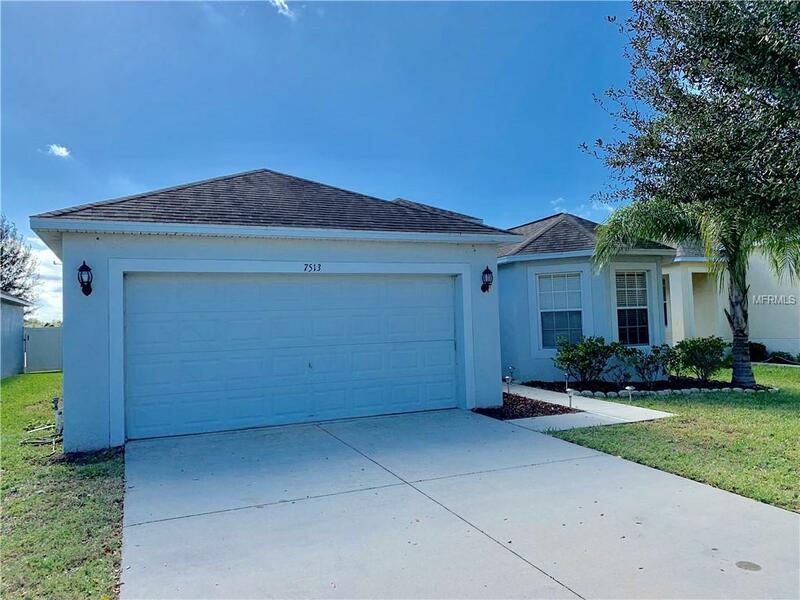 Enjoy West Coast Florida living in this beautiful 4BR/2BA/3 Car Garage Cypress Creek home with gorgeous pond views! This 1,732 sqft Home features a new A/C unit, tile, wood flooring throughout, vaulted ceilings, a spacious family room, an open kitchen with new Stainless Appliances with tile back splash and ample cabinet & counter top space that overlooks the attached dining area, an inside laundry room and a large master bedroom with his & her walk-in closets and private bath offering dual vanity sinks, garden tub and separate shower. Sliding glass doors from the living area lead to a covered patio where you can relax and enjoy the view of the beautiful back yard. Cypress Creek is a wonderful community that offers a community pool, playground, basketball courts and much more. Conveniently located close to I-75 with easy access to I-4 and downtown Tampa. All Information recorded in the MLS is intended to be accurate but cannot be guaranteed, buyer advised to verify. Sold As-Is. Additional Lease Restrictions Must Notify Hoa Within 7 Days Of Executing Lease And Pay Application Fee For Renter.